Jean, I was in Massachusetts when it happened, so I guess that it explains it. I believe that they are usually revoked in the United States as well. My guess is that mine wasn't because I was on the other side of the country and communications can be an issue. I only drive very short distances, about a mile. My license was never revoked, although I believe that is because my rupture happened on the other side of the country. I feel too slow to drive, feels like cars are flying past me. My big drive out is one mile down the street to sit and enjoy a cup of coffee and people watch. My husband and I just sold both of our cars and bought one. If things change, will cross that bridge then. Hello everyone. Glad to find this group of those that understand. 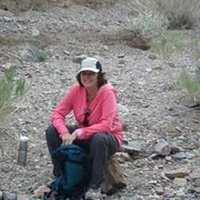 I suffered a ruptured brain aneurysm while on the other side of the country. I had an on again off again headache for about a week. It was in one spot in the back of my head, but honestly I didn't think much of it. 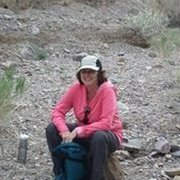 I was visiting family and doing a 2 day 40 mile walk for breast cancer awareness. The walk was fine, no issues. 2 days later I had the worst headache of my life. I was due to fly home, but thankfully did not get on the plane and instead my sister drove me to the nearest walk in medical clinic. The clinic sent us to the local hospital. The local hospital put me in an ambulance to go to a bigger hospital. They put in a coil for the rupture. I remember nothing for those 4 weeks. My husband flew across country and stayed in the hospital with me, sleeping on chairs. We flew home and I had one week of rehab. It is now 14 months later and I feel very slow and have a lot of anxiety. I stay home alone a lot. Work days are over, but I am 62. My driver's license was never revoked but I feel way too slow to drive. My big drive is to Starbucks 1 mile away. We actually sold my car and are down to 1 car. 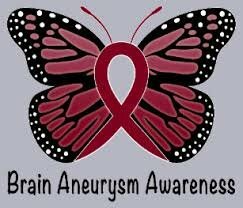 I don't believe that I am high risk, for an aneurysm, I have not smoked a cigarette in about 25 years, blood pressure is normal, no family history. Interesting because I live in the desert where it gets really hot, but several times a day I get full body chills. My guess it is the location that my rupture was in my brain. Am I the only one that suffers from numerous whole body chills several times a day since my aneurysm ruptured 14 months ago?